Thrilling roller coasters, exciting games of lazer tag, sliding down hills, singing along to musical performances, and being spun through Wonder Woman’s Lasso of Truth – these are just a handful of the exciting things to see and do at the amusement parks in San Francisco. Some of the places are specifically designed for younger patrons, especially Children’s Fairyland or Pixieland Amusement Park, while others, like Boomers! Livermore, California’s Great America, and Six Flags Discovery Kingdom, are fun for people of all ages. So, if you find yourself looking for something to do in the Golden Gate City, pack up your family and friends and head to one of the following amusement parks in San Francisco. Regardless of how old you are, Boomers! Livermore is a fun-filled place where you can spend hours playing games and enjoying yourself with friends and family. 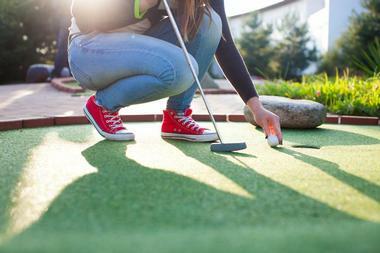 You can test your putting skills at the Championship Miniature Golf Course or rev up the excitement in one of the hi-octane go-karts on the winding track. Gather everyone for a vibrant game of lazer tag or crash into your loved ones in the waters in the bumper boats. In addition to the attractions, there is a state-of-the-art game room with games based on the Walking Dead, DC Comics superheroes, and much more. 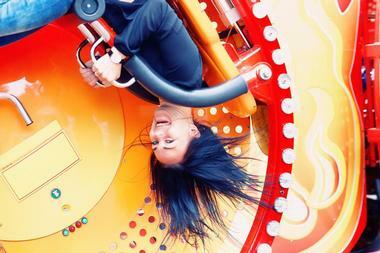 California’s Great America is one of the best ways to spend the day if you’re in San Francisco. 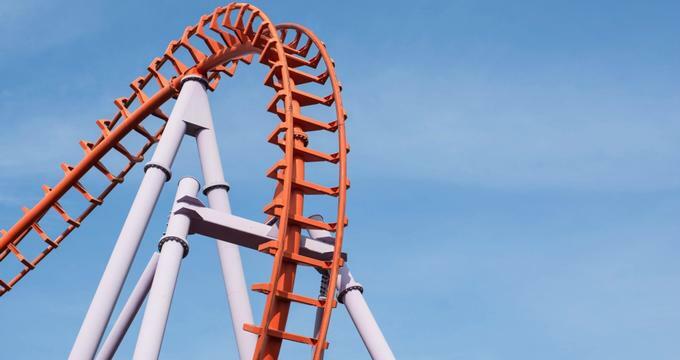 The RailBlazer is the newest addition to their collection of thrilling roller coasters; the single rail steel coaster lifts riders up, down, and side to side throughout the 1,800-foot track. 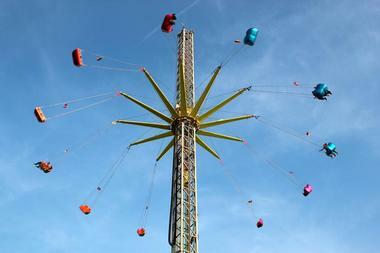 There are attractions for thrill seekers, families, and little ones scattered throughout the park. In addition to the rides, you can experience many shows at the amusement park; past performances include daring acrobats, entertaining live music, and live action performances by Snoopy, Charlie Brown, and the rest of the gang. 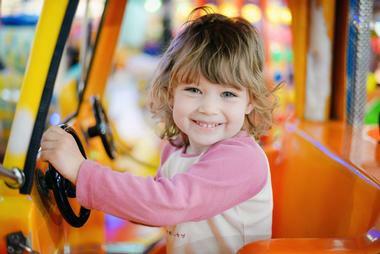 Created specifically for children up to 8 years old, Pixieland Amusement Park is the place for little kids to have big kid fun in a safe environment. Admission and parking are completely free, while the rides themselves require tickets, which can be purchase at kiosks throughout the park. Single tickets are $2.25 and packs of 10, 20, 30, or 60, tickets can be purchased for discounted rates. 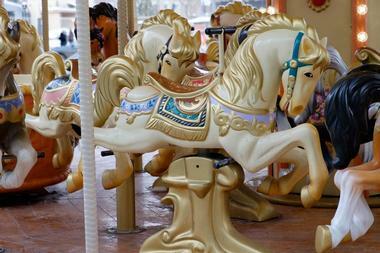 Kids and parents can jump into a teacup and spin themselves silly, slay the dragon roller coaster, hop aboard the Pixieland Express, fly high on the Red Baron Airplanes, drive their first car at Windy Grove, and relax on the classic antique carousel. Six Flags is renowned throughout the nation for being one of the most thrilling and fun-packed amusements parks, so expect just as much excitement at San Francisco’s Six Flags Discovery Kingdom. There is lots to see and do based on your age and what interests you; Discovery Kingdom has thrill rides, family rides, kids’ rides, animal attractions, animal encounters, and other entertaining live shows and performances. There are over 15 thrill rides, with some of the most popular being Kong, SUPERMAN Ultimate Flight, and Wonder Woman Lasso of Truth. Even the littlest thrill seekers will love it at Six Flags, especially at the Acme Fun Factory, which is a giant two-story indoor playhouse filled with foam.